Yemen has been embroiled in various conflicts and political disputes at different times in its history. Following the end of British colonial rule in the 1960s, the country split into two different states, North and South Yemen. But by the end of the 1980s, mutual interests led to Northern President Ali Abdullah Saleh and Southern President Ali Salim Al-Beidh overseeing the creation of a unified Yemen. However, little real social, economic and governmental integration took place between the now unified states, impeded by a lack of political will and complex bureaucracies. The military and security services remained separate and loyal to their original leaders. This contributed to a lack of trust and political goodwill across the country, which has frequently manifested itself in violence. In 2011, at a time of unrest and uprisings across the Middle East and North Africa, some groups in Yemen formed protest movements to demand improvements in human rights, good governance, jobs, and better health and education. Clashes with security forces resulted in over 50 protesters being shot by police in Sana’a in March 2011. 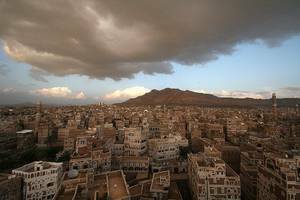 President Saleh was removed by the Gulf Cooperation Council in November, but Yemen has since struggled to contain its social and political complexities. Open fighting broke out in 2014 between different armed groups supported by former President Saleh, Houthi leaders from the north, elements of Al Qaeda in the Arabian Peninsula and many others. Alleging Iranian support for the northern-based Houthis, Saudi Arabia launched a bombing campaign in March 2015. As of June 2015, over 20 million Yemenis are in urgent need of humanitarian assistance.